Excellent condition with few cosmetics. Built in Barcelona, Spain by French designers, Joubert-Nivelt. This is the only Furia located in the U.S.
Mainsail, two jibs, 110 & 150. 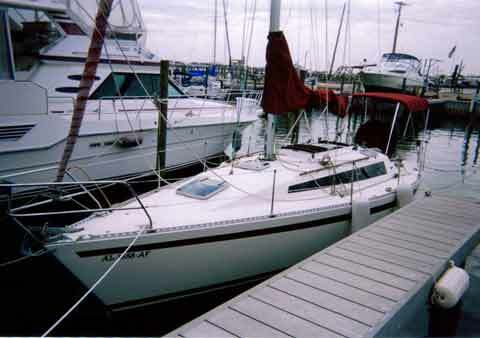 Thanks to your website, I sold my boat over the weekend to a fellow from Galveston, TX. No other website came close to yours in number of inquiries. My next door neighbor has a 36ft Catalina for sale. I will inform him of your website. Thanks again..!